In Moscow the main events of the Russian and gaming world, the largest CIS anniversary Igromir exhibition and the pop culture Comic Con Russia festival have come to the end. The Game Show company, the exclusive operator of the esports zone at Igromir, has drawn attention of tens of thousands of visitors to themselves again. The desicive Dota 2 matches and the Hearthstone season of Game Show Open with the total prize fund of 350 000 roubles were running within Global eSports Cup Season 1 during four days at the Game Show zone. Dota 2 Match results of Global eSports Cup Season 1. Four teams had got the direct invitation for this stage: HellRaisers, Arcade.Power Rangers, ScaryFacez and Newteam123, formed by Dota 2 old timer Artur Kostenko aka Goblak. Two teams had been chosen as a result of the open qualifier, which more than 200 teams were taking part in from the CIS region: BRM (ex Walrus Punch) and also the newly-formed CIS Rejects team. And one more five, which had got an opportunity to try their strength at the PRO stage, the Enso team, a winner of the Game Show Open tournament. Seven teams from Russia and the CIS region were fighting to reach the play-off stage of the Global eSports Cup tournament. Following the results of the championship only four of them will continue their path to the prize fund of $330 000 and the champion title. The prize fund of the third group stage of the CIS region, which ran within the Igromir exhibition, was $20 000. In three days of the battles a winner in the Dota 2 discipline has been found. It is the CIS Rejects team to take the first place and get the LAN event's prize of the third group stage. In the short run such teams as HellRaisers, ScaryFacez and Newteam123 will join the battle. Counter Strike: Global Offensive Grand Final Results. In a business-day, on October 1, the visitors were lucky to watch the Grand Final of the second season of Game Show Open in a Counter Strike: Global Offensive discipline. Four strongest teams of this season, who had got through a few stages of the qualifiers, came to Moscow to fight for the prize fund of 250 000 roubles. The tournament ran in the GSL system: a team to win in the first round would make it to the match for the 1-2 places, and a loser would have to fight for the 3-4 ones. As a result of exciting and spectacular matches we found out the names of the champions of the second season! They are the boys from the Kazakh PARTY team. The fans of Hearthstone didn't get the short end of the stick either, since during the whole exhibition they had an opportunity to fight with Aleksandr “Happa” Znamenskiy at the Zenfone zone at the stand of the general partner, ASUS. Each participant would get not only positive emotions, but prizes! The grand final of the second season of Game Show Open in this awesome card game ran on Saturday, on October 3. Eight players from all over the CIS region were fighting for the prize fund of 100 000 roubles. The name of the champion is Dmitriy “Unwi” Izhmiakov, who didn't lost a game during the whole tournament. The new Tele2 mobile phone service provider presented at the Igromir 2015 exhibition their own stand, on which guests of the event were able to vote against mobile overpaid amounts with a special interactive board. During all four days of the exhibition visitors of the exhibition left more than 20 thousand votes for low prices. On the operator's ground there was the broadcasting of the best matches at GameShow, and also a Wi-Fi zone, where guests were able to connect to the free Internet. Gamers, who came to Tele2's stand, managed to get autographs of famous esportmen and streamers. On the main stage of the event the operator was holding contests, winners of which got an opportunity to talk personally with such esports starts as Aleksei j4 Lipai, Evgeniy ChshrCt Kostroma, Vladimir PGG Anosov. The ASUS company demonstrated their best and newest devices for gamers and enthusiasts and held an «ASUS is the computer of 2015 year» competition, which showed all potentialities of native manufacturers in hi-end class computer building, an individual strategy for PC building and its outward. The leading Russian PC manufacturers of the hi-end level such as HyperPC, DigitalRazor, EvoPC and Mejin had agreed to take part in the competition. Built computers might have been seen at the stand of the ASUS company at the Igromir 2015 exhibition, and it was possible to vote for the Best ASUS Computer of 2015 title on the computeroftheyear.rf website. The members, who took part in the voting were also able to fight for the value prizes such as gaming laptop ASUS G751, ASUS ROG Swift PG278Q display and miniPC ASUS ROG GR6. Largest native gaming PC manufacturers such as HyperPC, DigitalRazor, EvoPC and Mejin had prepared a real present for visitors of the Igromir 2015 exhibition. They had built all-powerful gaming PC based on components of ASUS and Republic of Gamers, having given an opportunity for everyone to play any modern game with the highest settings. Right at ASUS' stand it was possible to fight as a team or in a public match format in Dota 2. Team winners and team losers got the gaming goods by ASUS, and viewers could take part in entertaining contests and fight for branded bags, adapters and another prices by the company. On Saturday, in the second day of the exhibition, the visitors had a chance to get the Zenfone 2 ZE551ML 4 gb smartphone. And on Sunday, in the heart of the day, at ASUS' stand all fans of Dota2 had an opportunity to get an autograph from a Dota 2 professional player, a member of the HellRaisers team, Andrey "Dread" Golubev. On the HyperX company's stand visitors of the exhibition had a chance to try out new goods by HyperX: the DDR4 memory from the Savage and Fury lines, SSD PCI-e HyperX Predator, gaming headsets HyperX Cloud Core and HyperX Cloud II Pink. In addition, everyone could fight in CS:GO and Dota 2 tournaments, get autographs and make photos with well-known guests. Among guests there were such esports starts as Dmitriy «Hooch» Bogdanov, Sergey «Fox» Stoliarov, Mikhail «Dosia» Stoliarov, Denis «Seized» Kostin, Egor «Flamie» Znamenskiy and others. Everyone who wanted could take part in lotteries and contests with value prices by the HyperX® brand and get a quality HyperX headsets with a 33% discount right at the stand. Aerocool presented at their stand a new power adapter model of the VP series with more effective heat dissipation and high temperature endurance the the PA's components, and also held a photo contest in an original photo zone at their stand. Also the Logitech and Crucial companies made the visitors happy with numerous prices and surprises. – a series of specialized online platforms for working with Russian and CIS gamers. The ASUS company is a creator of best selling motherboards, which have won the largest number of awards, and is also one of three leading laptops manufacturers in the world. Being a leader of the new digital era, ASUS offers a wide range of products, including motherboards, video cards, optical drives, monitors, PC, laptops, netbooks, servers, multimedia devices, wireless decisions, network hardware, tablet computers and smartphones. All ASUS' products stand out for its high quality and innovation, they are perfectly suitable for modern house and office. 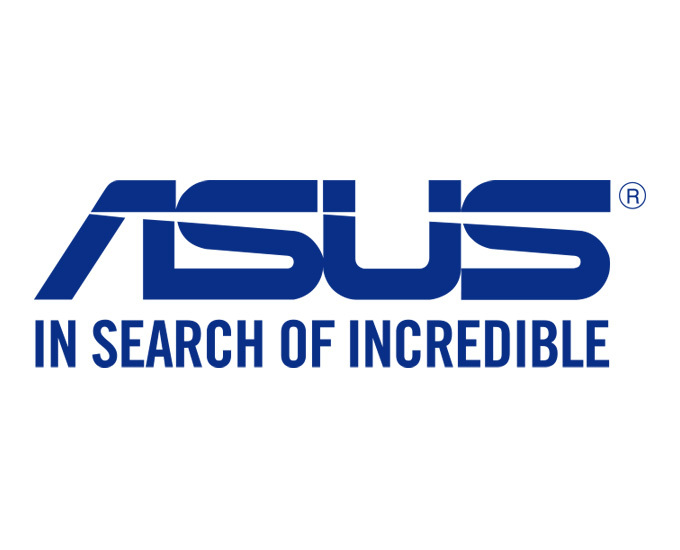 In 2014 ASUS has earned 4 326 awards. The company's amount of business with more than 13,6 thousand employees and highly proficient developers all over the world is 14,5 billion US dollars. AeroCool Advanced Technologies (AAT) was founded in 2001. At the earlier stage of operation we were committed to share our technical expertise and innovative design in providing total-solution for thermal management in industrial and personal computers. Today Aerocool is one of the market leaders in the "Gaming Market". Our strong brand and product image are well received by gamers and enthusiasts world-wide. We offer a full line of performance products including gaming cases, gaming PSUs, gaming mouse, gaming headsets, gaming keyboard, gaming headsets, multi-functional panels and fans. Aerocool will continue innovating and deliver the best user experience to gamers world-wide. The presentation of the PGS series (Performance Gaming Systems) was well received by gaming community. In this year at the Computex Aerocool exhibition the company has announced a new Strike-X series, which took Aerocool to a new level. We will continue implementing innovations and bringing the best user experience for gamers from all over the world. Be Cool !! Be Aerocool !! Tele2 is a federal operator of mobile communications. As the only Russian mobile discounter, the company makes a very important social task, they make communications services available for the highest possible number of Russians. Tele2 takes the fourth place at the telecommunications market of the country and provides services in more than 60 regions for 35 millions telephone subscribers. Since September of 2014 the company has been engaged in activities with creating the cellular network in Moscow and Moscow region. The appearance of a new operator in the metropolitan area will increase competition at the market of mobile communications and create prerequisites for price-cutting and improvement of quality unexceptionally for all subscribers. HyperX is a line of highly-efficient productions by the Kingston Technology company, the leading independent manufacturer of storage devices. Storage modules HyperX, SSD and USB storage devices, gaming headsets and mousepads are made with using the first-class components, which provide extreme performance, quality and modern outward, and are used by gamers world-wide. HyperX support more than 20 teams all over the world and is the main sponsor of Intel Extreme Masters and Dreamhack. Find out yourself how HyperX will help you to play and win by using the most modern technologies. The Logitech company is the world leader in the peripheral device manufacture, which provide an opportunity to easily immerse yourself in the digital world of fun. Logitech's decisions, compatible with multiple platforms, let implement all potentialities of audio and video entertainments, games, social networks, data transmission through the Internet and also video security system and home theater controlling. Swiss public company Logitech International, founded in 1981, is listed on the Swiss Stock Exchange (LOGN) and on the Nasdaq stock exchange (LOGI) in the United States.